As the search for those suspected of involvement in the shootings and bombings in Paris continues, French authorities have identified the alleged “mastermind” of the attacks: a 27-year-old Belgian man named Abdelhamid Abaaoud. 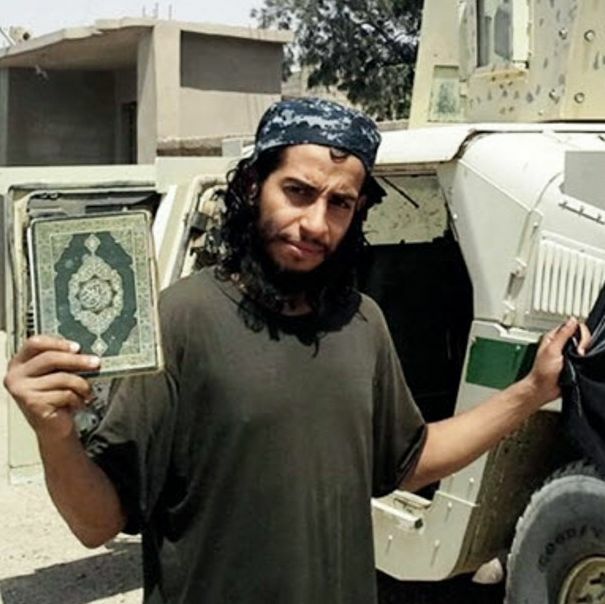 Abaaoud was quoted by the Islamic State group’s English-language magazine, Dabiq, as saying that he had secretly returned to Belgium to lead the terror cell and then escaped to Syria in the aftermath of the raid despite having his picture broadcast across the news. “I was even stopped by an officer who contemplated me so as to compare me to the picture, but he let me go, as he did not see the resemblance!” Abaaoud boasted. …Abaaoud’s image became even grimmer after independent journalists Etienne Huver and Guillaume Lhotellier, visiting the Turkish-Syrian frontier, obtained photos and video last year of Abaaoud’s exploits across Syria. The material included footage of him and his friends loading a pickup truck and a makeshift trailer with a mound of bloodied corpses. According to Reuters, Abaaoud is also known for compelling his 13-year-old brother to fight with him in Syria. Earlier this year, a Belgian court tried Abaaoud in absentia and sentenced him to 20 years in prison for recruiting for ISIS.